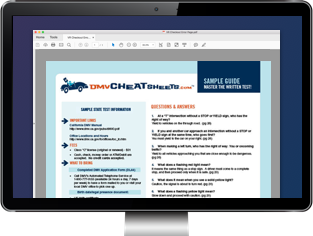 Use the Division of Motor Vehicles' Online scheduling system. Schedule online for the Benson office. Schedule online for the Fairbanks office. Call your local DMV office. You can make or change a scheduling request 24 hours prior to your desired road test date. The earliest you can schedule an appointment is up to 60 days in advance. For all other driver and vehicle services at the Alaska DMV, you must wait in line. Keep in mind not all tasks require an in-person visit to a branch office; find out which online services you can take care of from your own computer. Vehicle in good, working condition that's the same class as the license you're applying for. Parental/Guardian Consent for a Minor (Form 433) if you're under 18 years old and your parent will not be at the appointment with you. Your written test scores, if you're applying for a permit. Your permit, if you're applying for a license. 2 documents proving identification (see a list of acceptable documents). Proof of registration for the vehicle you'll be testing in. Class D and motorcycle license—$15. *NOTE: Should you choose to schedule online, you can pay all appointment fees ahead of time using your credit card. The Alaska DMV DOES NOT issue refunds for cancelled appointments, failure to appear, or failure to pass your skills test.